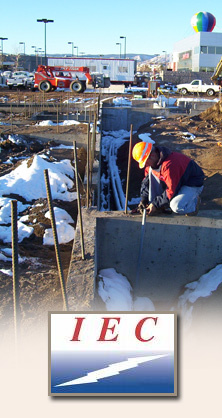 Custom Electrical Contractors specializes in commercial and industrial electrical construction and maintenance services. Since 1978, our success has come from our ability to meet the needs and expectations of our customers while helping them complete their most challenging projects. We provide electrical design and construction services in a safe, reliable and efficient manner. In the event that your equipment needs servicing, you have peace of mind knowing we offer emergency service and free estimates. Ask about our warranties and maintenance programs, including contracts for annual inspections. We can build or install any type of electrical system, large or small. We are committed to giving you the most reliable electrical system for your needs. We are fully licensed by the State of Colorado, assuring you that your electrical project will be installed to exacting industry and code standards. All your electrical needs are only a phone call away.